Almost as soon as Diablo 2 was released in the summer of 2000, the speculation began on when Blizzard would begin work on the second installment in the RPG series. Only four years had passed between the release of the original Diablo and Diablo 2, and gamers were already excited to see what direction Blizzard would take in the next follow up. The wait would be long. It was eight years before Diablo 3 was announced in June of 2008 at a Blizzard trade show in Paris, France. And from that day, eager gamers everywhere began the countdown to the release of Diablo III. Diablo 3 previews are ongoing works, as Blizzard avoids leaking too many details too far in advance of the public beta test phase. Details have emerged however, enough to piece together that Diablo III will repackage the tried and true Diablo formula with some very interesting additions. Diablo III Preview: Old Wine in a Shiny New Bottle? As one of the most beloved RPG experiences of all time, Diablo 2 has no shortage of gamers ready to wax nostalgic over many hours spent fighting the Prime Evils. Considered innovative and engrossing during its prime years, the loyalty many gamers feel towards Diablo 2 is apparent through the continued availability of the game along with its expansion at various retail outlets. In addition, unlike most decade old games Diablo 2 still has gamers logging onto Battle.net to play online. Blizzard even posted a page on the Diablo III development website in honor of the tenth anniversary of Diablo II. 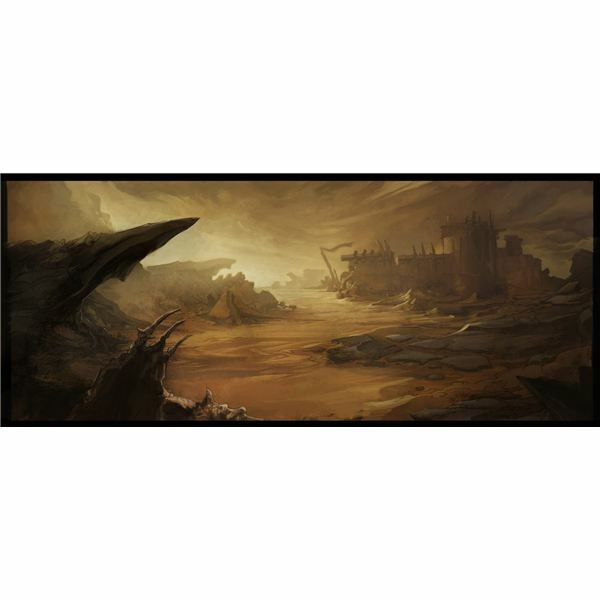 Available images and videos of Diablo 3 point to Blizzard making a strong effort to preserve continuity between Diablo 2 and Diablo 3. Preview images focus on the traditional dark dungeons with that familiar, still creepy ambiance and no shortage of beasties waiting to swarm over the adventurers bold enough to plumb their depths. The game’s major mechanics changes focus on the upgrade to 3D as well as the implementation of the Havok engine, which allows for destructible environments – a feature sure to add depth to the adventure. “Stay a While, and Listen!” – Yes, Deckard Cain is back. There are expected to be five Diablo III character classes available when the we finally come to the release of Diablo 3. Only four have been announced, and only one of these is a holdover from Diablo 2. The Barbarian, Monk, Wizard, and Witch Doctor are the announced classes, and all look to be especially compelling to play. The only NPC announced to date is good old Deckard Cain, who judging by his transition to a 3D character model is looking a bit worse for the wear. Of course, it has been a rough few years for old Deckard, what with having witnessed the events of Diablo I, Diablo II, and the Diablo II expansion, Lord of Destruction. An interesting technique used to bring anyone new to Diablo is available on Blizzard’s development page for Diablo III. Diablo 3 preview sites are generally light on providing back stories in too much detail, but Deckard Cain’s Journal does a fantastic job of bringing the Diablo story up to date, and offering a teaser of the evil to be fought in Diablo 3: The Prime Evil Baal has corrupted the Worldstone, and the Angel Tyrael wants it destroyed. The World of Diablo 3 – You Call This a Sanctuary? Speaking of the world of Diablo 3 that needs saving, its name is, somewhat ironically, Sanctuary, and the shift to three dimensions has provided it with quite a makeover. A detailed guide to the Rune upgrades available in Diablo 2 is a good example of the overall feel of the world of Sanctuary, a dark fantasy realm chock full of ancient artifacts of power. To date, three unique landscapes within the world of Sanctuary have been revealed, in addition to a world map. The Borderlands are a violence plagued zone inhabited by a few hardy folk and the ruins of a failed empire. New Tristram is, as one might expect, a bit of a sad little land. Built on the ashes of a town that was utterly destroyed after the events of the Diablo 1 and Diablo 2 story, a few merchants have set up shop in hopes of doing business with adventurers foolish enough to explore the town’s old and rather dangerous cathedral. And finally there is Caldeum, a formerly powerful city now reduced to a tense powder keg of rival factions that may anytime explode into violence and conflict. Each landscape is meticulously detailed and benefits from the shift to 3D. Exploring them and surviving their challenges is certain to elicit a certain tense pleasure. No Diablo 3 Preview could be complete without noting the many forms of lethal life that inhabit the varied environments of Sanctuary. 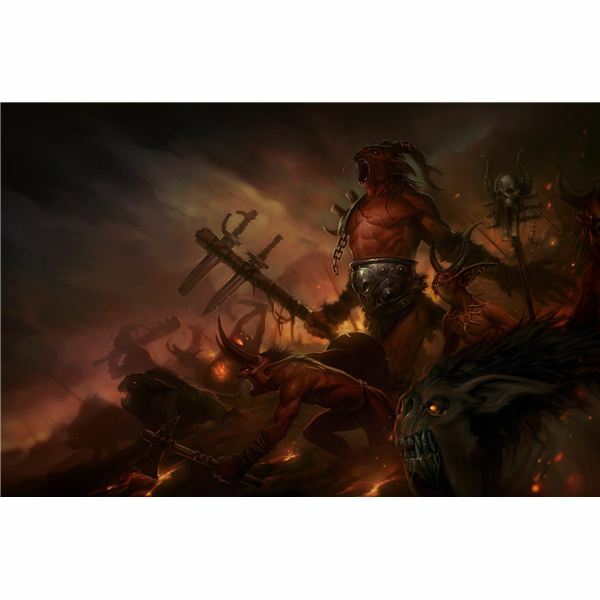 As any overview of Diablo 2 will point out "it all started with 3 demons." And as might be imagined, when three demons are involved it all goes downhill from there. The creatures spawned by the rampaging Prime Evils, Mephisto, Baal, and Diablo, are varied and potent. Eight classes of beasts have been revealed by Blizzard, each more lethal looking than the last. There are the Fallen Ones, demonic creatures that attack in hordes and who have Shamans capable of reanimating fallen comrades. The Undead prowl Sanctuary, as do a horrific offshoot of the Undead – the Unburied – who form out of piles of bodies thrown together without proper burial. Scavengers are quick, deceptively powerful little creatures who are known to eat larger enemies from the inside out. Dune Threshers seem like an homage to the Dune series of science fiction novels, and are huge creatures that make their home in desert regions. 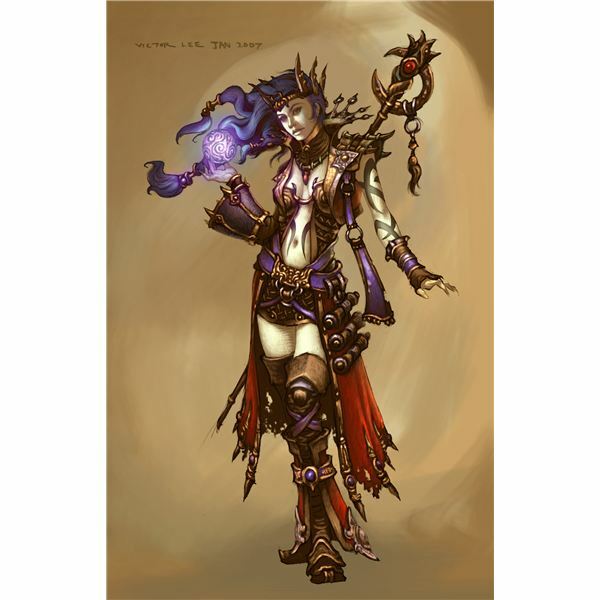 Dark Cultists are in Diablo 3 as well, vile spellcasters who perform strange rituals and consort with demons. Gnarled walkers are treantlike beings who haunt devastated forests. and then there are the Khazra – goatmen rumored to be the victims of an ancient magical experiment gone very wrong, or worse…right. Diablo 3 is one game worthy of anticipation. Expected to be released sometime in 2011, Blizzard looks to be working Battle.Net deeply into the game, and keeping particularly juicy details of plot and available quests under wraps for the time being. The Blizzard FAQ page is worth a read over, though anything can of course change. When additional details are released by Blizzard, updated previews are soon to follow. Stay tuned. 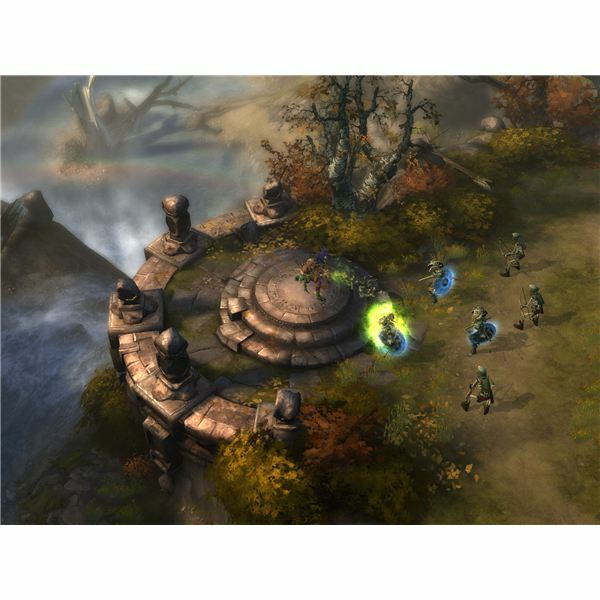 Check this article series for the trailer, preview and full scale review of Diablo III.